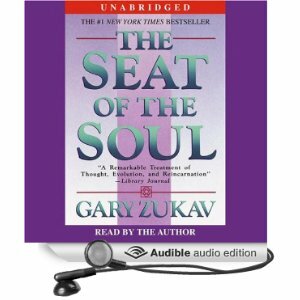 Summary : With the same extraordinary skill that he used to demystify scientific abstraction and the new physics, Gary Zukay, the award-winning author of The Dancing Wu Li Masters, here takes us on a brilliant and penetrating exploration of the new phase of evolution we have now entered. Why this book ? : Jay-Z, a person who's work and experience I admire, named this book as one of two books that he absolutely lives his life by. So I had to check it out. My Review : Wow! Mind blown. There's a lot of info in this book. I had to listen to it twice as you really need to pay attention otherwise you get a little lost. I'm going to have to buy the hard copy at some point and go back to it on a regular basis and listen to the audiobook again. I found a lot of interesting insights and point of views and new definitions for words like "authentic power", "external power", "multi sensory beings", "soul", "karma", etc. As someone who started figure things out on my own when it comes to spirituality in general, this book backs up many of my own insights and brought light into many areas I hadn't even begun to explore. As far as I'm concerned, for those who are ready to explore within, this it's a must read. It's eye opening and makes me want to find out more, keep exploring and keep growing. "Hatred of evil does not diminish evil, it increases it." "An evil person can be arrested, but can evil be arrested? An evil group can be emprisoned, but can evil be imprisoned? A compassionate heart is more effective against evil than an army. An army can engage another army, but it canot engage evil. A compassionate heart can engage evil directly - it can bring Light where there was no Light"
"Temptation is the Universe’s compassionate way of allowing you to run through what would be a harmful negative karmic dynamic if you were to allow it to become physically manifest." you can't study life with dead people. "complaining is a form of manipulation"
"When you forgive you release critical judgment of yourself as well as of others. You lighten up. You do not cling to negative experiences that resulted from decisions that you made while you were learning. That is regret. Regret is the double negativity of clinging to negativity. You lose power when you regret"